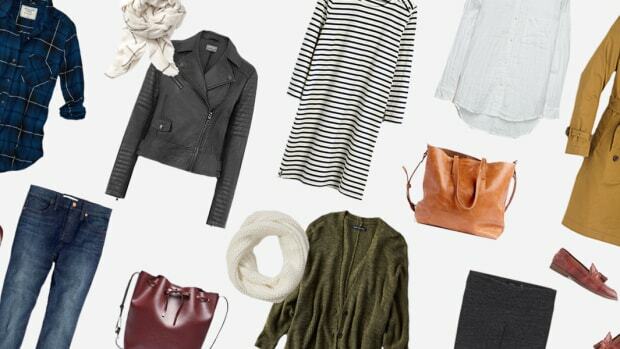 Now that the cool fall weather has finally graced us with its presence, a wardrobe switch-up is in order. Those lingering Indian Summer days certainly made the seasonal transition a little easier, but it’s high time for toasty warm knits! 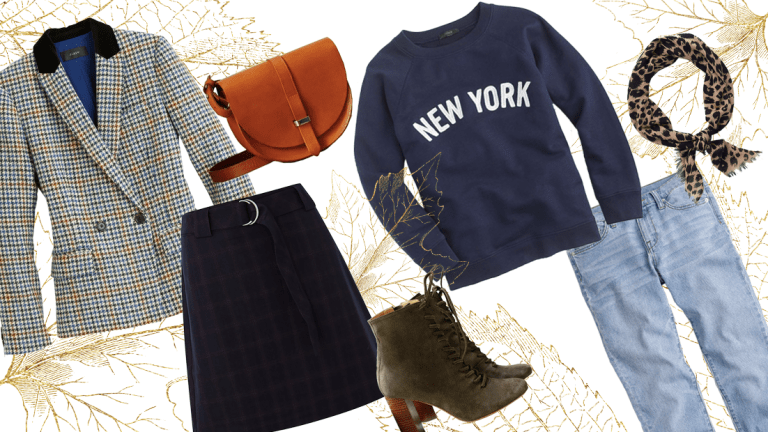 Cold-weather outfits embody a fresh start, so what better way to greet the blustery mornings than with scarves, tweed blazers, and sweater tights? 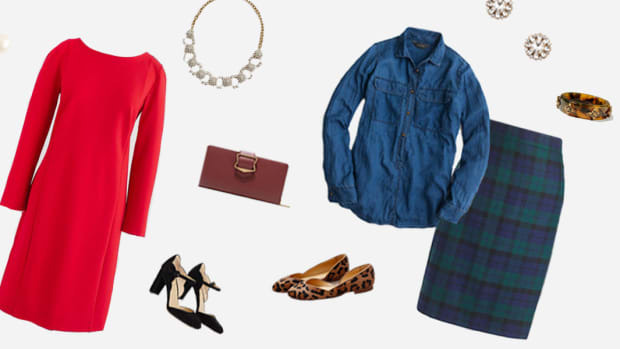 Here are two outfits that will get you through the next few cold months in style. 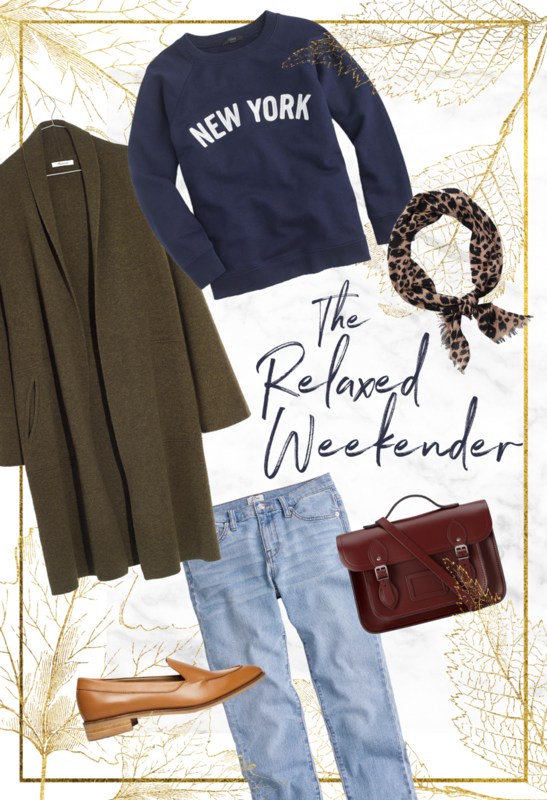 Perfect for casual Saturday afternoon trips to the bookstore whilst sipping hot cider, this layered look is all about comfort and subdued fall tones. As if you never escaped the comfort of your bed, a cozy crewneck and knit cardigan will hug you all day long. To add a little structure to this relaxed ensemble, add a pair of smart loafers and light-wash jeans. A fall outfit wouldn’t be complete without its accessories! 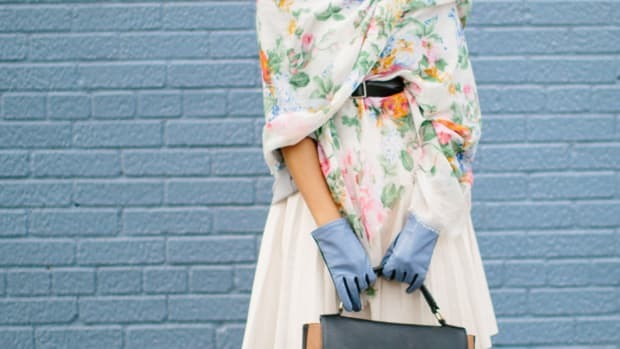 A simple neck scarf will add a stylish twist without overwhelming you in fabric. 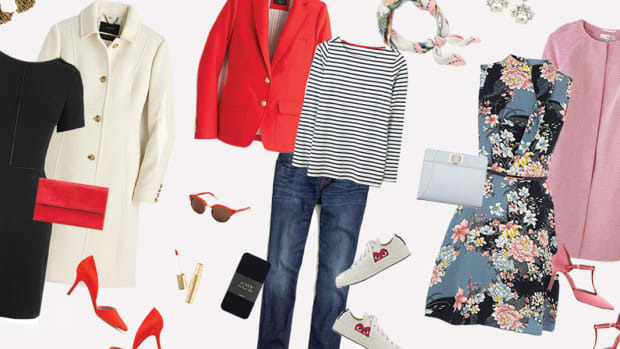 When the brisk weather rolls in and the school year is in full swing, we can’t help but look to our favorite Upper East Side style icon for inspiration—Blair Waldorf. From headbands to tights, blazers, and more, Gossip Girl has made a lasting impact on how we view fall style. 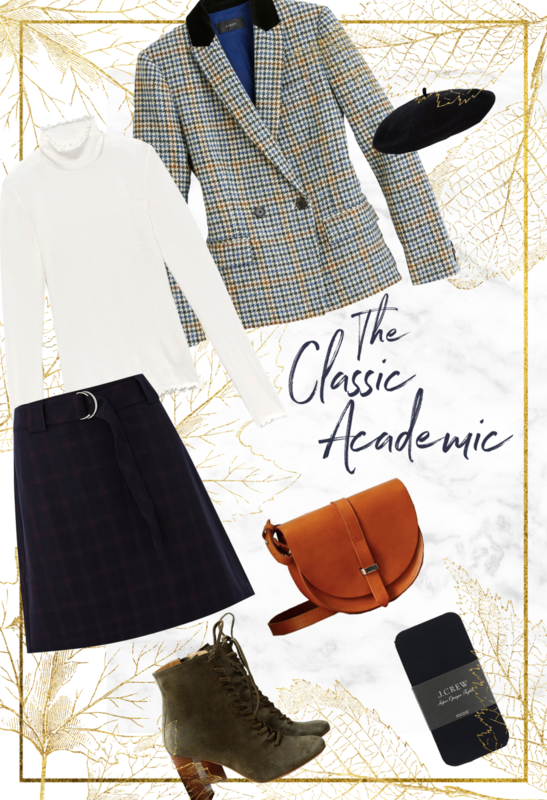 Perhaps only next to Love Story’s Ali MacGraw, Blair’s legendary academic outfits are perfect for looking cute and classic while keeping warm. We put our own modern spin on the preppy look by pairing a tweed blazer with a pair of lace-up booties, a turtleneck, and a beret.